Even a large computer screen can only display so much information before it becomes overwhelming. So, we’d designed our Bulk Backlinks interface to show you only the most important information. Showing the most important data is great under most circumstances, but it inevitably means some data that might be useful to you is not displayed. Until now, if you wanted to get your hands on all the available data we have on any domain, you had to download it as a spreadsheet file and work with it in Excel or something similar. But now we’ve redesigned the Bulk Backlinks interface so that all the data we’ve collected on a particular domain is now available to you through a range of different ‘Views’. ‘Views’ means that you can cut and slice the data, depending on which particular task you’re working on – without the need to go anywhere near Excel. For example, you may want to (i) do a quick analysis on hundreds of domains you’ve collected, (ii) immediately discard those that you don’t want, (iii) then go into more detail with those that really matter to you. We added a new metric, “Avg Ref Doms each IP”. The more referring domains that come from a single IP, the higher this average will be and the more likely that the domain may be dodgy. The closer the average is to 1, the better. 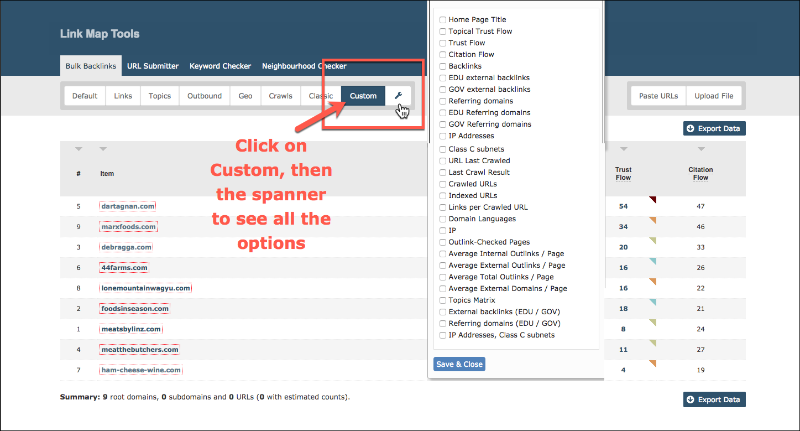 Once you’ve created your customised domain, it will be remembered and displayed the next time you use the tool. And of course, just click on Classic to return to the original interface. We created these features based on customer feedback and suggestions, so we really value your input. If you’d like to comment or have a suggestion, we’d love to hear – just click the feedback button in the tool or use the comments below. The Bulk Backlinks tool gets you immediate and downloadable information of up to 400 domains or URLs in-browser, or 100,000 domains through a file upload – without any programming needed on your side! It is available to all subscribers on all plans, even our entry Lite plan. Prices start at just £39.99 / €46.99 / $49.99 a month, and our Lite and Pro plans come with a 7-day money back guarantee for brand new customers. Try it out. 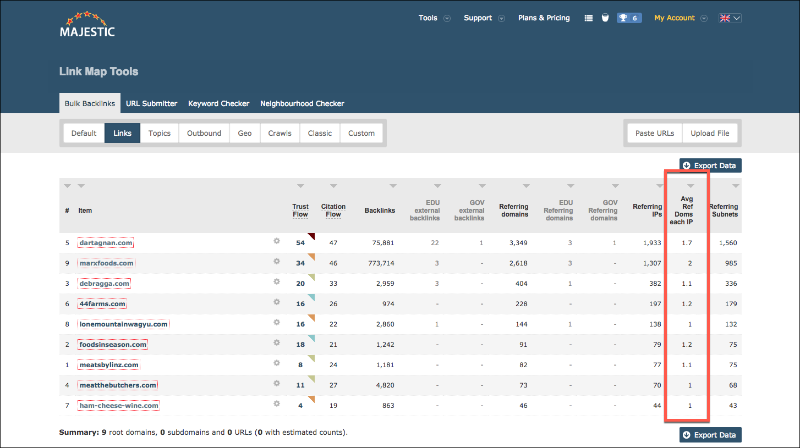 updating looks very good, it will be very useful when doing seo analysis. Great Updation to check "Avg Ref Doms each IP" also its really useful to Customize the bulk backlinks interface, now we can use useful items and remove other which we do not want. 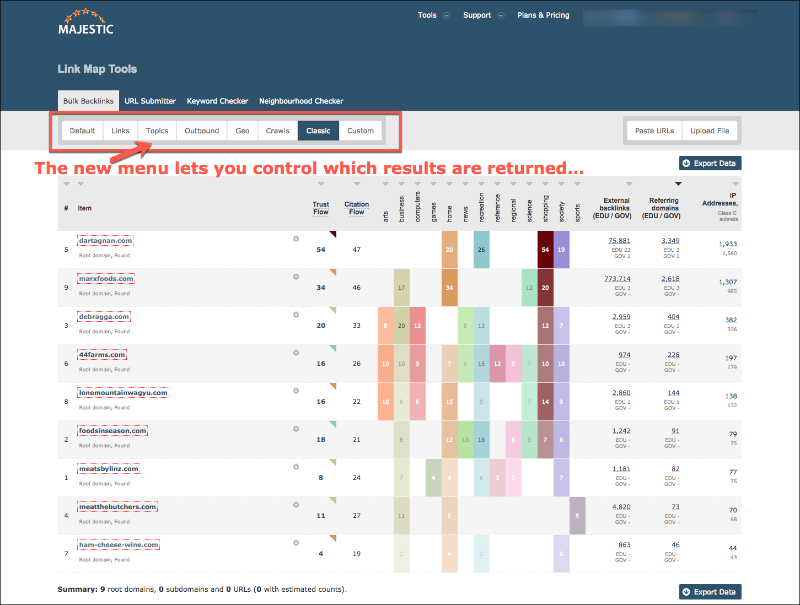 Majestic is the best tool to do [LINK REMOVED] seo analysis.